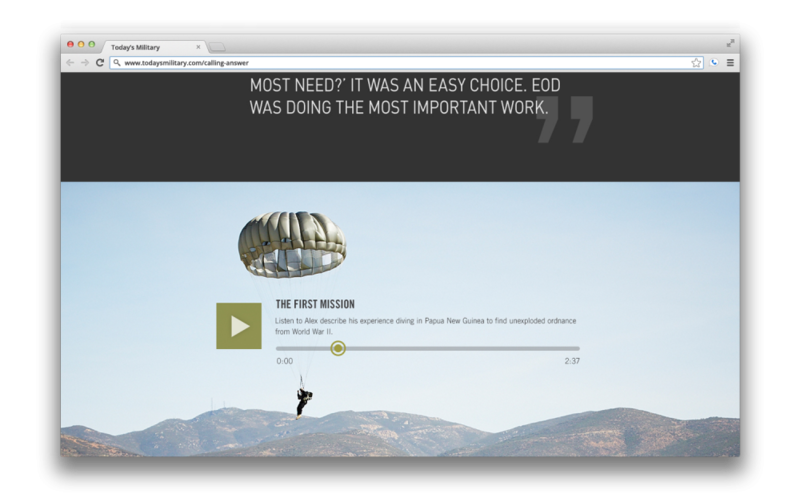 A responsive landing page of interactive and engaging Military stories. 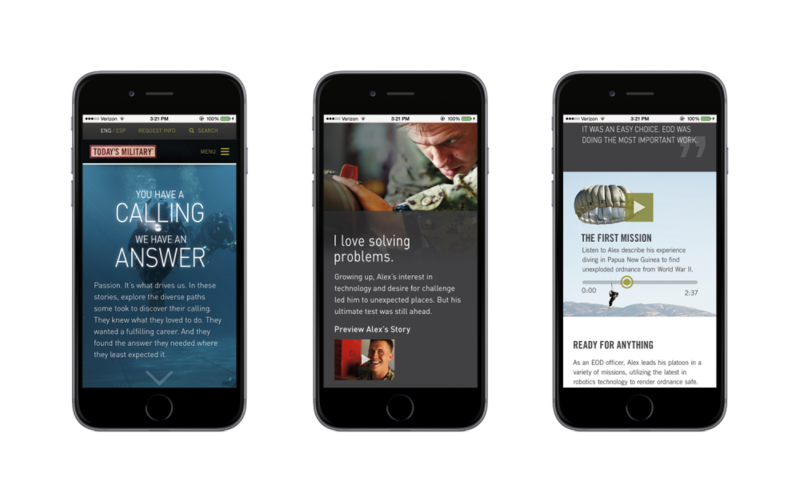 Today’s Military launched a new campaign around the concept of having a calling in life, which could be fulfilled in one of many ways in the Military. 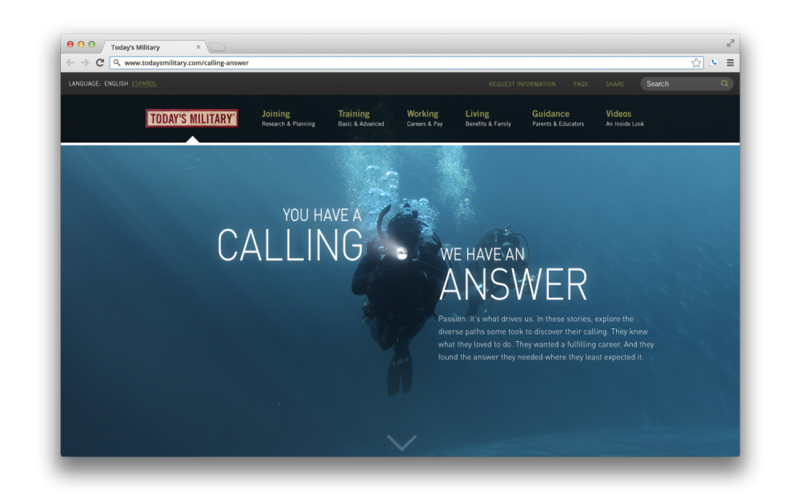 In this microsite, we illuminated three unique individuals who’s calling came to them very early. 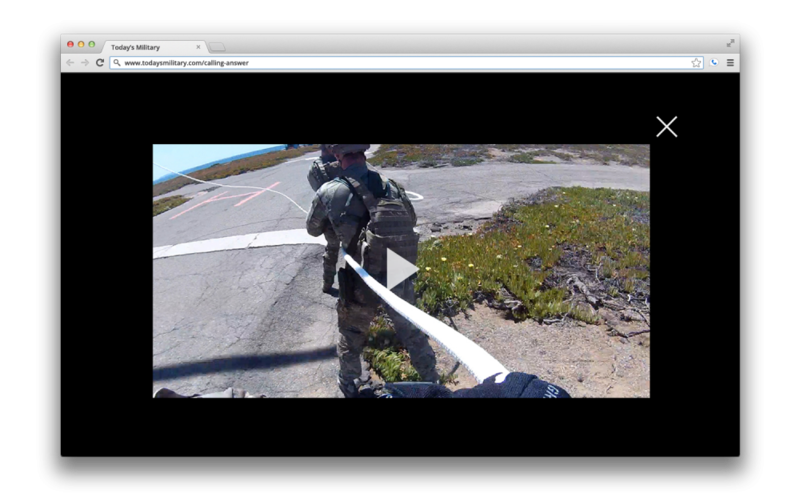 Their stories then came to life through an enriching responsive experience, with different types of content organized to tell their story in an interactive and engaging way down the page. 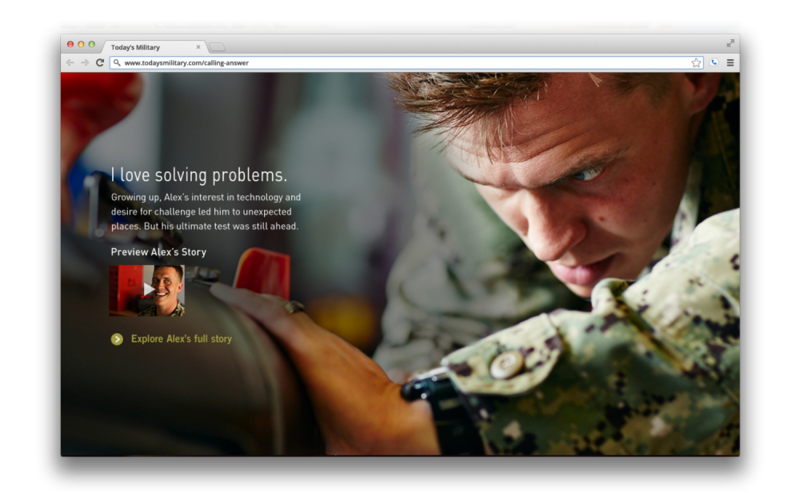 Each story depicts the amazing journey these people took from realizing their passions, to fulfilling them in the Military.